The best books I read this month were the first and second of the Wayfarers trilogy. But I also read The Song of Achilles from my 2018 TBR Pile Challenge list and that was pretty great too! 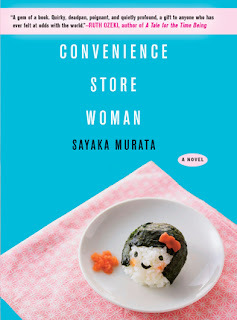 Convenience Store Woman was a short, odd little book that I've kept thinking about much longer than I expected to. I've also done some reading about planning, which I talked about in my review of Journal Me Organized. I also read a little poetry here and there online, some sestinas and villanelles. I haven't been listening to any audiobooks this month, which is unusual for me. But I've been having a very hard time focusing, probably because I haven't been meditating and also because of lots of distracting things going on at work. So I've been mostly listening to podcasts and music. By the Book has been especially great, and I also went back and listened to some episodes of Dear Sugar, which I love but haven't been listening to much. And my new favorite, Slow Russian, but I save that for when I can concentrate for a short while. Since I just saw Janelle Monae in July I've been listening to her a lot. I've also been digging "No Roots" by Alice Merton, "Hi Ho" by The War and Treaty (love that song! ), and this amazing cover of Black Sabbath's "Paranoid" by a band called Taggy Matcher that has made me want to seek out more good cover songs. I've started watching Steven Universe based on a coworker's recommendation. It's cute? And I keep getting the theme song stuck in my head. The episodes are only 11 minutes long so it would be silly not to watch it. It's growing on me a lot. A coworker mentioned they like Jane the Virgin, which was already on my radar as something I might want to watch. When this particular person whose views I trust mentioned it, I decided to start watching. It is so good! I'm a little obsessed. I'm still watching Poldark, but kind of slowly. Eric and I are watching it together and it is rather dramatic so we're taking it slow. I'm still not doing a ton of cooking this month, but I think slightly more than last month. Dishes of note include Shakshuka and Roasted Sumac Chicken with Plums, both from Dinner by Melissa Clark. I am getting a lot of mileage out of this cookbook. They were both delicious dishes that I'd make again, and fairly easy. I've also been making some salads to take in my lunch for work, like this Orzo Pasta Salad which I make fairly regularly. I also hosted Cookbook Club at work, which was a fun way to end the month. Our book this time was Appetites by Anthony Bourdain, which I honestly was not a fan of (though I had no problem scarfing down all the food everybody made.) The recipes were just very meaty for me and I had a hard time deciding what to make and finally settled on Belgian Endive with Curried Chicken Salad, pictured at right. Last month I mentioned cutting down on food altogether and using an app to track what I eat, but ha ha ha! That hasn't been super happening. I ate 5 s'mores in one night while camping and I have no regrets. (Except that I still can't fit into my pants.) But the last few days of the month I've started being a bit more strict again. I posted last month's wrap-up a little early because I was heading to PEI, a vacation which went into the first few days of August. It was lovely. We had beautiful weather, stayed at a charming Bed and Breakfast in Charlottetown, took day trips around the island, and of course ate a ton of delicious food. I keep joking that there is no seafood left in Canada because I ate it all. Even the oysters, which I think of as the phlegm of the sea. But they're so classy-looking when they're served, and they come with cocktail sauce and horseradish! At the end of the month we went camping! When we went in June we got rained out after one night, but this time the weather was beautiful all weekend. You have no idea how happy I am that Petri has gotten to the point where she behaves enough to go camping. She really likes snuggling up with us at night in the tent. It's a special treat because she's not allowed to sleep with us at home. Work has continued to feel very busy with interviewing and staffing changes and it's just not letting up! But thank goodness at least summer reading is over. I've knit a lot of my sock! The sweater, though, it languishes. I just need to sew up some cuffs and attach the sleeves. Thing is, I held up the sleeves to the armholes and they didn't seem to be nearly the same size, which is a problem. I mean it's yarn, it's forgiving, I just need to sit down and do the thing. If they fit they fit; if they don't....maybe I can block it all into submission? I still haven't gone to yoga again, and now maybe won't for a while because in addition to all the various health issues in my household this month, I have managed to injure my rotator cuff. Now I have a whole regimen of exercises, icing my shoulder, and taking a ton of Advil. It eats up a lot of time in my day, so I'm trying to plan and stick to my plan so I can do all the things in the day that I want to do. In my wrap-up from last May, I mentioned hosting a group called Pizza and Politics. We actually haven't met since then (though I didn't realize it had been quite so long!) but I decided to do a one-off book group on Timothy Snyder's book On Tyranny. So that's coming up! In other book-related plans, I'll be reading Catherine the Great by Robert K. Massie with my same friend with whom I read War and Peace and Middlemarch. This book is on my TBR Pile Challenge list, which I'm zooming through. I'm also looking forward to my annual family trip to CT, and a knitting get-together at the Museum of Fine Arts. This isn't the sort of book I normally review - or read cover-to-cover for that matter - but I've been thinking a lot about my planner recently. Before this year I had been bullet journaling for a while (a year? more? I have no sense of time) but I got a little burnt out on having to create the framework for my planner. Even worse was having to do it at a certain time, since with a bullet journal you use however much space you need at the time rather than creating a structure with a certain amount allotted for each day/week/month. 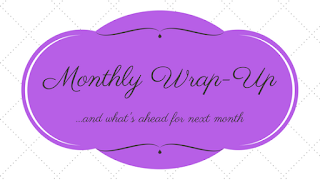 So it would suddenly be the last day of the month and I'd panic because now I have to create my new monthly spread and then the weekly spread for the new week and it all had to look pretty but it was a busy day and I only had like 10 minutes to do this project. I decided that I needed some structure. Enter the Passion Planner. I did a lot of research into planners in late 2017, and this one appealed to me for a lot of reasons. It has a structure, it has a built-in goal tracking feature, and a list of questions at the end of each month to evaluate how the month went, what I learned, etc. It's filled with inspiring quotes! It's designed by a young woman of color, not a huge company! It has a social media presence with various tips and tricks! The month page has spaces to fill in a monthly focus, places to go, people to see, and a "not to do" list. The weekly spreads also list a focus as well as a spot for "good things that happened." Halfway through the year though, the planner started to physically fall apart. I had also become frustrated with the weekly layout because the space for each day was split up by the half hour. My day isn't a schedule, it's a to-do list - so I washi taped over the times and just make lists, but it's really too narrow. The spots could be wider if space wasn't allotted to the weekly focus and good things that happened, which I didn't use after the first few months anyway. I do like the goal-setting aspects, and the monthly evaluation questions. Clearly, I know what I want and I'm going to need to make it myself. What I'll do is use a blank journal but instead of creating it as I go along, bullet-journal style, I'll create a structure that works for me. I'll definitely be borrowing aspects from the Passion Planner, but leaving out what didn't work for me. So I was looking around for inspiration and Pinterest is honestly far too overwhelming. I also find that all the bullet journal stuff there is too much about being artsy and looking pretty and not enough about being useful. Plus there are always a zillion lists like "50 things to put in your habit tracker" or "create a page where you list all the new hobbies you want to start" and I'm not trying to find more stuff to do, I just want to be more organized about what's I'm already doing. Just at the moment I was looking for it, I saw that a book called Journal Me Organized by Rebecca Spooner was about to be published and I requested it from the library. It's divided up into four main sections: Getting Started, Breaking It Down, Collections, and Step by Step. In Getting Started, Spooner introduces the difference between cerebral and creative planning, cerebral being more structured (this is me!) and creative being a looser, more artsy method. She also talks about tools - the actual journal, pens, markers, etc - and how to plan your planner and establish a planning routine. Section two, Breaking It Down, delves into all the layouts: daily, weekly, monthly, quarterly, and yearly. It ends with Specialty Planning, which includes habit trackers, time trackers, meal planning, and other sorts of specific planning you may want to add. Next is Collections, which are basically lists, or places to organize ideas about something in one spot. Some of these might include a cleaning schedule, bill schedule, movies and tv shows to watch, books to read, goals, rainy day ideas, evening or morning routines, and my favorite: 10-minute tasks, a handy list of things that need to be done that you can do when you have just a short bit of time. The final section, Step by Step, contains detailed techniques for brush lettering, watercolor painting, creating custom tabs, bookmarks, pockets, and even creating your own notebook. At the end of the book is a list of resources, an index (yay! ), and templates for lettering and illustrations. This is a large format book complete with lots of examples, illustrations, and pictures of her planner pages. I'll admit I got very distracted by reading her sample pages and trying to figure out her life and what some of her items mean, which is totally beside the point but also gave me some good ideas. Also I can't believe how busy this woman must be. She's got five kids who she homeschools, plus all the writing and social media stuff she does, plus selling books from a children's publisher, plus all the regular household stuff which includes cooking a whole big meal every night because with seven people in your household you don't have a lot of leftovers. Despite all she's managing to plan in her own life, I found her advice very forgiving. She's so low-pressure about trying different things and just seeing what works. 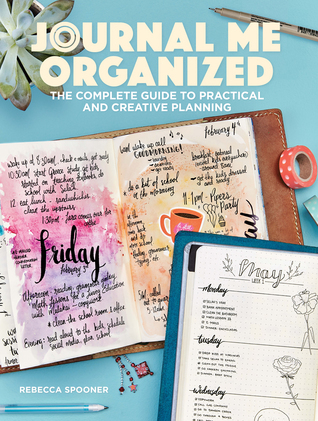 She acknowledges that no matter how organized or pretty you try to make your planner, there will be mistakes and messiness, and she includes photos of pages where that happened, and pages that she just didn't like how they came out. I found this all SO much better than looking for ideas on Pinterest where everything is completely perfect and the vast amount of content is so overwhelming. As for what I'll take from this book, I'm definitely a more cerebral kind of planner. Spooner uses a lot of artsy watercolor on her pages which isn't my kind of thing (and honestly way too much effort) so I didn't pay much attention to how to do that, but I may try some of her other layouts. I mentioned earlier how much I like her 10-minute list, and I think I might try to use that. She also talks about "scripting," which is describing a plan for the day rather than just listing out tasks. She likens it to coaching yourself and says it can be motivational as well as rational. I'm intrigued and may try this in my journal (I don't tend to do much writing beyond lists in my planner) although I will definitely still have to-do lists in my planner. I just like the idea of thinking through my day before I create a list of tasks. I'd also like to add something for meal planning and some sort of loose cleaning schedule. Overall, I found this book inspiring and filled with great ideas for setting up my new planner. Having mostly just used Pinterest in the past, I liked the experience of using a book by one person who goes through the whole process and presents their ideas, and I may look for more books on this topic. 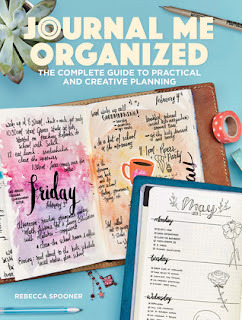 Have you seen any books or other resources on creating planners that you found helpful? If so, please let me know in the comments! Patroclus is an awkward young man who commits a violent act and is exiled for it. He's taken in by a king who welcomes youth with nowhere else to go, and it is here that Patroclus meets the king's son, Achilles. They become constant companions, and eventually realize they are much more than friends. They spend an idyllic couple of years in training in the forest with Chiron the centaur, but then are called away to war. Helen of Sparta has been kidnapped and they are expected to go fight to get her back. Achilles is known to be a shining example of a man - fast and strong and brave - and Patroclus promised as a child to come to Helen's defense if it were ever needed. There is also a prophecy, and Achilles's mother Thetis hates Patroclus and is not happy about their relationship, and the war goes on much longer than anticipated. Oh, and apparently Helen went willingly to Troy in the first place so why are they even fighting? To start off, I should mention that I know practically nothing about Greek mythology and I was concerned going into this that I'd be lost, but it turns out that the book stands very well on its own. There's no assumed knowledge of anything, though I don't have a good sense what is from the original myths and what Madeline Miller created. I also wasn't sure I would like it because I've never been terribly interested in mythology, but it didn't feel like that was what I was reading. It just felt like I was reading a richly-detailed character-driven historical novel. Her writing is beautiful and the characters came alive, and I felt like I got to know them and their lives in a way that made them feel so much more real than in the mythology. Gods and goddesses were characters in the story, and somehow she made them fit in, even though it's obvious they are not of this world. 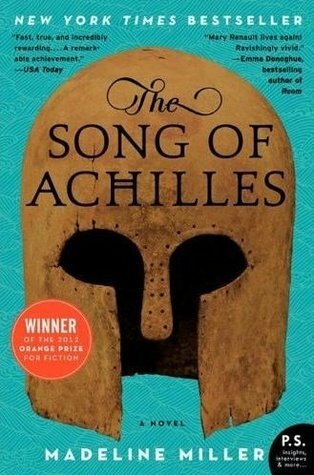 I was worried when Achilles and Patroclus left for war, because war is often rather boring and confusing to read about, but I never felt lost during this story. She didn't get too bogged down in the details of battle so that I couldn't see the larger picture of what was going on. The relationship between Achilles and Patroclus was beautiful and sometimes painful, their future always uncertain, and this was what the book was all about. The war was big, obviously, but it felt like a backdrop to their love story. All the parts about Achilles and his relationship with his mother, their training with Chiron, their friendship with Briseis - a Trojan woman the Greeks captured and whom Achilles claimed so she wouldn't be raped during her captivity - were all great parts of the story, but still seemed to exist only as something that affected Achilles and Patroclus, who were the real focus. 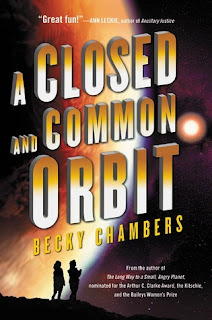 This was on my 2018 TBR Pile Challenge, and if it's still languishing on your TBR pile or list I suggest dusting it off and diving in. It's a great read! Keiko Furukura was never like other people. When she saw other kids get into a fight on the playground she knew it should be stopped, so she grabbed a shovel and smacked one of the kids. When she found a dead kitten, she asked her mother if they would be eating it. She didn't seem to have the same feelings as other people and knew they thought there was something wrong with her. At the age of 18 she saw that a local convenience store was hiring and got a job. The training was very detailed and even included phrases they were supposed to use, and directives about how to behave. Keiko was relieved because now she knew exactly what to do to fit in. Flash forward 18 years and she is now 36. She's still working part-time at the convenience store and it is pretty much her life. She's completely satisfied, but also aware that other people don't understand why she doesn't have a career or a boyfriend. She's never been interested in relationships, but when she meets another outsider she wonders if the appearance of a relationship would help her socially. 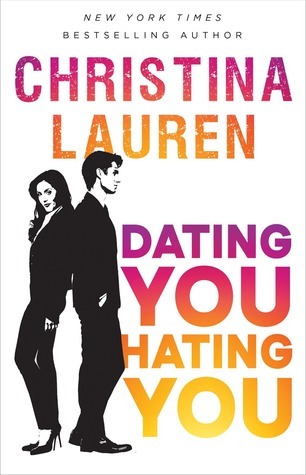 Maybe everyone would stop asking about her dating life and questioning how she lives her life. 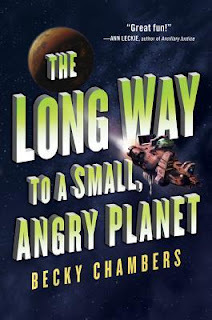 A lot of the appeal of the book for me was the unusual main character and the everyday details of her job. I kind of love detailed descriptions of everyday lives, especially when it comes to jobs that aren't office jobs (see also: Last Night at the Lobster by Stewart O'Nan.) She describes her tasks, such as arranging rice balls in a display case, and it all feels very comforting in its order. Keiko is a woman of routine, and I enjoyed the satisfaction she got from her job and her simple life. But she was definitely playing a part. The specific directives of her job - how to greet and interact with customers - were supplemented by characters she took from her coworkers. She would often note that she was adopting another person's voice or tone in a given situation. In this way she attempted to fit in as normal. She says, "My present self is formed almost completely of the people around me." I tend to like unlikeable protagonists and while I don't quite consider her one, she's definitely not exactly likable and she's an outsider, and I don't actually understand her. Although we get the details of her life and some of her thoughts, I didn't feel like I had access to everything. Or rather, her inner workings weren't expounded on enough to really understand her. Which is fine - I didn't feel like it was lacking because it wasn't that kind of a book. I wish I got a more complete picture of her life though. Her job is part-time, but I don't know what she did the rest of the time. It sounded like she worked from morning until evening, because it said she would often just bring something home from the store for dinner because she was too tired to do anything else. I also wondered how she still had friends, given that nobody really understood her and she wasn't exactly one to have fun. She would show up at gatherings because she was expected, but it always seemed very awkward. They would question her life choices and assume she must be desperate to find a husband, and she was ask why she couldn't go on as she was, and they would get exasperated. Often they just made assumptions and she would let them think what they wanted. It doesn't seem like there were very strong friendship bonds. Still, I found it unique and refreshing. At 163 pages it's hardly an investment of time and I read the entire book in one (albeit lazy) day. I would say my time was well spent. 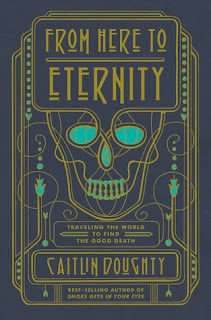 After reading Smoke Gets In Your Eyes, I was very excited to hear that Caitlin Doughty had another book coming out. I follow her on Twitter too, and everything she writes is very thoughtful and interesting and gives me new perspectives on how death is viewed in our society. 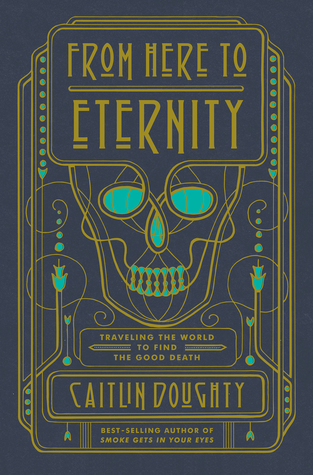 From Here to Eternity is a journey around the world as Doughty witnesses death rituals in various cultures. It begins in Colorado with an outdoor cremation on a pyre, very different from the behind-closed-doors-with-special-equipment kind of cremation that is the norm in the US. Then to Tana Toraja, Indonesia for ma'nene,' a yearly ritual in which bodies of the dead are exhumed, dressed up, and walked around town. She goes to Mexico for Días de los Muertos, Day of the Dead, when the line between the living and dead dissolves and families welcome their deceased with altars and offerings of food. In North Carolina she visits the site of the Urban Death Project, an experiment in composting human remains. She travels to Barcelona, Spain where families can view their deceased loved ones at their funerals, but only behind glass. And graves aren't permanent resting places, but rented spaces where, once your lease is up, your body is transferred to a mass grave. Japan has a 99.9% cremation rate, and cremains are stored in a super-organized high-tech building in which you can scan a card and a crystal Buddha on the wall will light up to indicate where your loved one is being stored. After a cremation comes a ritual called kotsuage in which families are presented with the fragmented skeleton of their person, and they use chopsticks to pick up the pieces and put it in an urn. In Bolivia, many people collect ñatitas, skulls that are believed to have special power connecting the living and the dead. Our trip comes to an end in California with a natural burial conducted by Doughty's funeral home, and then she meditates a bit on other methods of burial and expresses her wish for a "sky burial" in which a body is cut up to be picked clean by vultures. Her overarching theme is about all the different ways there are to mourn someone's passing and to treat their body, and her sadness that in the West our rituals are now controlled by business. In fact, she notes that after Hurricane Katrina, a group of Benedictine monks began selling low-cost handmade caskets and were challenged by the local Board of Embalmers and Funeral Directors (though the courts sided with the right of the monks to sell caskets.) There's a lot of control over how our death rituals work. The open pyre in the first chapter is an exception to the rule, and there are a lot of rules. We're removed from death, we can't usually witness a cremation; in fact, as soon as a person is just a body they are whisked out of sight and we can't see them until they've been embalmed and made up by professionals. She says that the Western funeral industry likes to talk about dignity, but to them the word seems to mean rigid formality that doesn't take into account how an individual or family actually wants to mourn their person. Her companion when she visited Mexico, another American named Sarah, had lost a baby rather far along in pregnancy. She felt pressure to keep silent in her grief so as not to depress others. In Mexico, she saw many altars and elaborate grave sites with mementos and photos of the deceased, including children. The pride with which the dead were remembered and celebrated was so different from what she experienced in the US. Some of the rituals explored in this book might seem strange and off-putting to those of us used to the sterile standoffish customs we're used to, but there's a lot to be said for spending time with a body, or picking up fragments of bone with chopsticks. It's a way to confront the realities of death rather than avoid them, and having a ritual is for some people a productive way to channel their grief. Even if you don't want to have a natural burial or personally handle a family member's body after they've died, it's enlightening to understand why other people do. 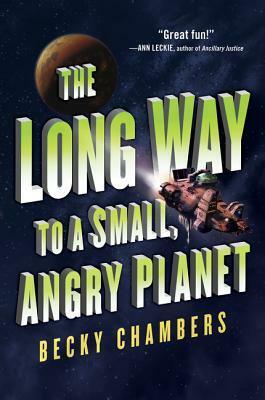 As soon as possible after finishing The Long Way to a Small Angry Planet, I picked up the next book in the series. I read it in just two days (and now I'm on hold for the third one, but it just came out so I'm going to have to sit tight and wait my turn.) This one is about a couple of side characters from the first book, but I'll describe it without spoilers so don't worry about that. Pepper is an engineer who has befriend an AI (Artificial Intelligence) and put her in a body kit. This means that an AI designed to monitor a ship is now living in a very human-like body. So the AI goes to live with Pepper and her partner Blue and tries to get used to her new situation. She picks the name Sidra for herself, and she is completely disoriented and frustrated by the fact that she can't see behind her, that she isn't permanently attached to the Linkings (which is like the internet), and she just doesn't know what to do with herself. Plus it's illegal to house an AI in a body kit, so she needs to do a very convincing job of acting human. The other story being told at the same time is Pepper's backstory, from back when she was known as Jane 23. Her early life was spent in a factory, where she sorted scrap, determining what could be useful and what wasn't. She slept in a dorm with other girls, sharing a bunk with Jane 64. Their meals were just liquid in a cup, referred to only as "meals" and Jane had no idea there were different kinds of foods. The girls were watched over by the Mothers, which were robots. Obviously she escaped and it's a really fantastic story that I loved reading about, but I'm not going to ruin things by telling you all about it here. We don't see any of the other characters from the first book, but I'm ok with that because there's just so much good story here and I grew to love being with these characters just as I did my old friends from book one. There weren't as many different species introduced here, but we got to see more slices of life, and I'm starting to think Becky Chambers can just keep writing more and more books set in this universe and I will never grow tired of learning about these characters, their worlds, and their histories. I can't wait to get my hands on book three!